My Christian upbringing brainwashed me into thinking that empathy was the way to heaven. Images of Mother Teresa, the icon of empathy constantly wafting into my consciousness. Too late I learned that Mother Teresa wasn’t such a saintly person – she was a just another shrewd operator. Yes, to survive in this world one has to know how to be a shrewd operator. Moreso, if like me you are an empath. There are people out there who know how to manipulate a caring soul without a tinge of regret. We need to learn how to protect our space and energy or else our mental and physical health is bound to suffer. Unfortunately, they don’t teach about boundaries and energy protection in school. Are we born empathetic? Well yes, and no? Yes, we are wired for human connection but must learn how to be empathetic. How do we learn this trait? It is through mirroring – when we experience empathy from our parents/ primary caregivers. An emotionally attuned mother who responds to her child’s needs and cues creates the emotional map of human empathy. By having his or her emotional states recognized and responded to, a child learns to model empathy within and gradually begins replicating this behavior as he/she grows. How we are treated as kids affects how we treat others later on. We care if someone cares for us. That’s how healthy relationships should have equal serve and return. However, if a child’s needs and feelings are thwarted or ignored a child usually grows up being devoid of empathy. Most Personality Disordered individuals like sociopaths and narcissists did not receive adequate caring and empathetic attunement from their primary caregivers. These empathy deficient individuals lack the ability to feel empathy like other people do. One really has to beware of these people and know how to protect oneself against them. They are incapable of love and can callously use people for their own advantage. When my mother was dying I strove to do everything possible to make things better. I believed that my loving care would save her. Unfortunately, she died despite my best efforts. However, hyper-empathy became my default program. I just could not bear to see anyone hurting and would jump to be of service. This sensitivity was further exacerbated by the subsequent abuse that followed my mother’s death. My already well-developed empathic abilities got even more finely tuned. I was able to sense and ‘pick up on’ subtle and subconscious messages in my environment. I could cue into someone’s feelings whether they going to explode in anger or the not so subtle signs of lust. My childhood was spent in high-alert mode, in fact, I got stuck in that state of hyper-empathy for most of my life. I realized quite late that indiscriminate caring is not the best thing. It damaged my relationships and me. I became the dependable one who people shat upon. As time went by and my needs being ignored I grew bitter and angry. I hated anyone making demands on me and this affected my mothering in many ways. I was unable to be the empathetic caring mother I thought I would be. 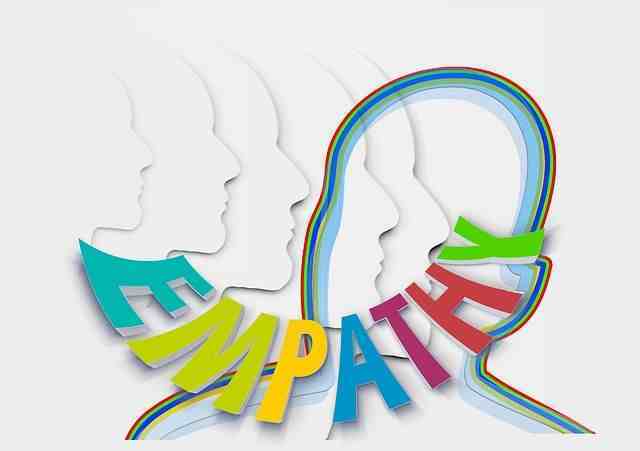 Being empathetic is the ability to identify, respond to, understand and connect with the feelings of other’s while being an empath is to actually feel the feelings, thoughts, pain, happiness, and distress of others. Empathy is learned due to our experience and cultural indoctrination. While some empaths are born with this gift others unwittingly get programmed with this trait. Nearly all children have a highly developed mirror neuron system. They pick your subtle nuances without much effort. They automatically respond to their depressed mother’s emotions with high levels of empathic sensitivity. This early training may definitely predispose one to develop greater responsiveness to emotional cues. Gradually, it becomes second nature and thus an empath comes into existence. I know the sum total of my childhood experiences shaped my empathetic and altruistic beliefs and behaviors. It felt so wrong not responding to someone else’s needs even though I was being neglected. I became an emotional empath with no boundaries. As an empath, you feel more, see more, absorb more. You are an emotional sponge, who unwittingly takes on the energies of the world. Being hyper-aware of the outside world led me to ignore my needs and feelings. I kept giving and giving without anyone truly meeting my needs. Moreover, I felt guilty about my feelings and needs, it felt like a weakness that I had to overcome. So, I simply ignored myself, thinking that it was a strength to be so self-contained. This stance eventually wore me down and affected my mental and physical health. I wish I had known that I need to be empathetic to myself first. I had to first fill my own cup. Today, a show of empathy has become an effective PR tool for celebrities. It helps to increase their TRP and brand value. Celebrity empathy became famous with Princess Diana. She successfully bridged the conundrum of privilege and altruism. She was not just a fashion icon, she was also the symbol of compassion. And no one doubted her genuineness. Having gone through a troubled childhood, she truly empathized with those in suffering. She had that innate gift to make people feel loved and cared for. For a few brief moments, she really lifted people out of their desperate state of hopelessness. Who doesn’t want to feel special, and what a high it must have been to feel a Princess truly understands your pain. However, we will never know if she truly was the People’s Princess or just a master manipulator. Since then there have been many celebrities trying to emulate her and gain mileage by becoming humanitarians full of empathy for the world. However, most of them just come across as fakers who just want one thing – more fame. It has been my experience that those who have made social work their public calling are usually simply horrid to live with on a personal level. They are usually covert narcissists who are hollow, only striving for attention and adulation. Their fragile egos get a boost from the praise they receive for their humanitarian activities. They pretend to care but are really incapable of feeling empathy. Cognitive empathy is the ability to understand how a person feels and what they might be thinking. Emotional empathy is the ability to share the feelings of another person. Compassionate empathy goes beyond understanding and sharing their feelings, it is about taking action and helping someone. Remember the parable of the Good Samaritan. However, we have to understand that empathy without boundaries can lead to what in caring professions is called vicarious trauma. When responding to someone else’s suffering has detrimental effects on our own health and well-being. We have to learn to care without being consumed, we need to feel without feeling overwhelmed. We have to know how to be there for someone without becoming their permanent security blanket. Overactive empathy not just affects our own energy but also makes other people dependent and helpless. We don’t help anyone by taking on the responsibilities that are theirs. We become enmeshed in their stories and lose track of our own lives. This eventually ends badly with bitterness and recriminations of how much one did for someone and how ungrateful the other turned out. It may seem heartless to walk away when faced with unending demands but in the long run it may be the right thing to do. Looking at a situation in a cool, cognitive manner and giving only what is required the wisest thing to do. Empathy is good for humanity but be aware of your limits. Don’t disconnect from your own needs and feeling.